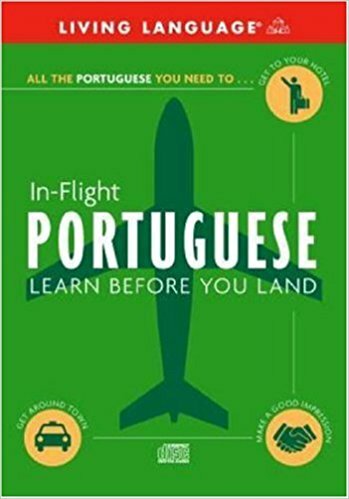 Anyone who is completely new to Portuguese, this book and it’s companion CD is going to be a complete waste of time. This book is really short and it doesn’t go into detail whatsoever; it’s simply just phrases. Aimed for travelers, this book’s phrases teach (or translate really); phrases that a traveler might need to know; greetings, basic expressions, numbers, flight, hotel, restaurant info, money, shopping. etc. This book was released in 2001, and almost seventeen years later, I honestly can’t think of pitch on why someone would buy this. I know Google Translate is not good when it comes to translate full sentences and phrases correctly, but with proper training in Portuguese, Google Translate does a good job translating words from were an intermediate Portuguese learner can mold it into a more accurate translation. To me this book was not waste of time, since it was a good refreshner, but that’s it. This is simply just a reference book. This is the first book of many that I’m planning on reading to improve my Portuguese.